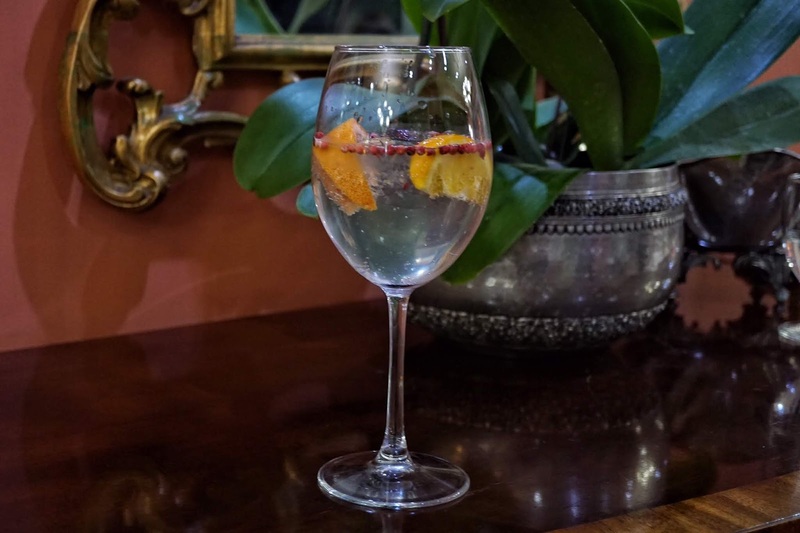 With Christmas just around the corner, most of us are starting to get busy working on having a stress-free holiday. But with traffic becoming impossible as early as now, we have to plan smarter. And with holiday equating to endless feasts, one of the daunting tasks we have to face is to prepare food which means constant trips to the supermarket. Thankfully, there are a lot of places to get scrumptious ready to eat dishes and one of my top picks this year is Mr. Cochinillo. Cochinillo is known as a popular delicacy in Spain with its tradition of slow-roasting the suckling pig over wood fire in brick ovens. 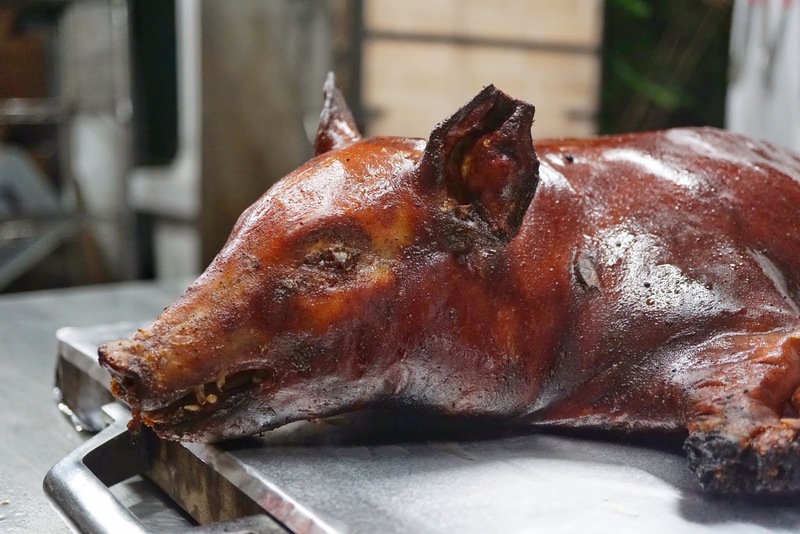 The result is crisp, succulent and juicy pork that would make any gathering or festivity memorable. 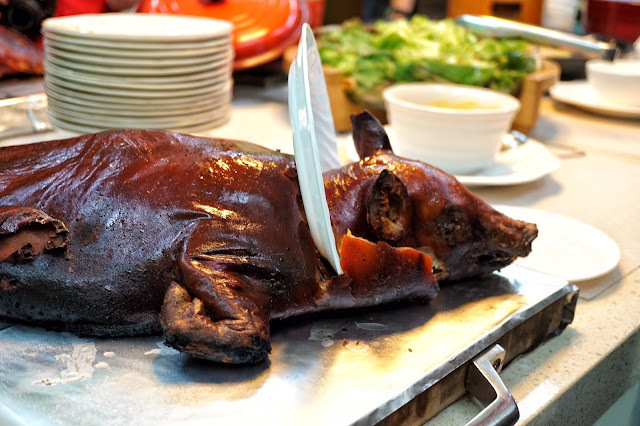 A few weeks ago, I was invited to try Mr. Cochinillo's famous roast suckling pig and a few of his bestsellers. 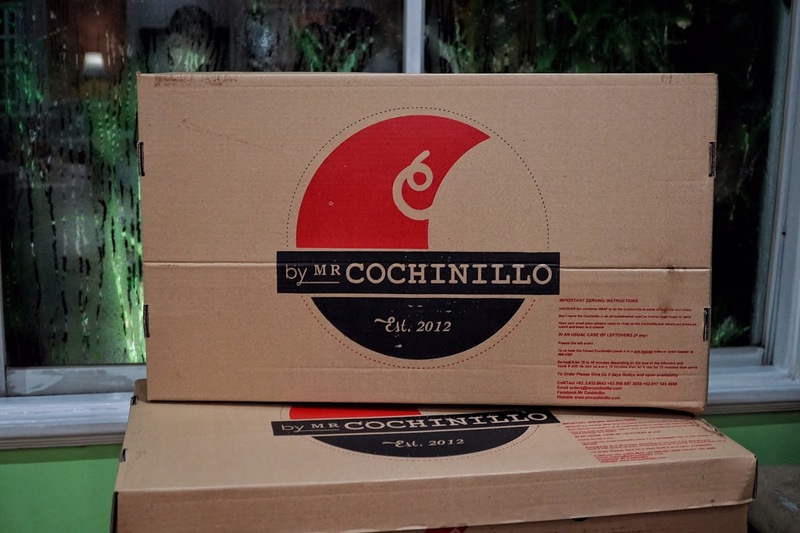 But before digging in, we were first introduced to how Mr. Cochinillo came about. And its story is definitely unique with a slight comedic angle to it. 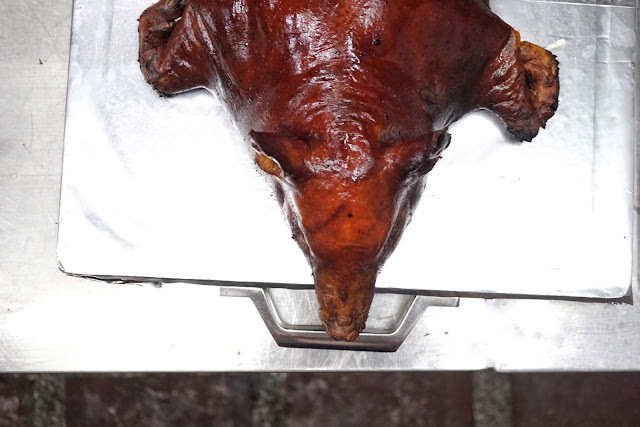 It all started when Tinee de Guzman, a former DJ and photographer offered to cater his friend's party where he "accidentally" mentioned that he also cooks cochinillo. The delicacy caught his friend's attention and wanted to include it in the menu. As it was an unintentional mention, Mr. de Guzman was kept busy for the next few weeks till the party perfecting his roasting technique. And thankfully, he managed to do so before the event. Everyone loved it and it caused him to be a bit busier roasting... a lot more. Swamped with orders, Mr. de Guzman thought that this hobby of his has potential. 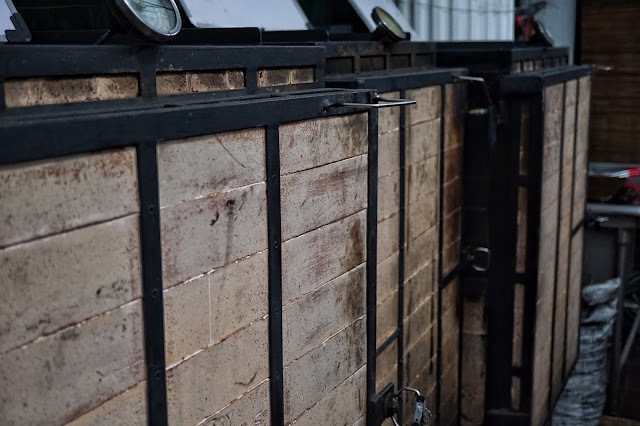 He then invested in more brick ovens to cater orders. Things get crazy though during holiday season that pushed Mr. de Guzman, or more known now as Mr. Cochinillo, to put surcharge of 10% for all orders from December 1 to January 3 the following year. It wasn't hard to fall in love with the idea of indulging in roast pork. 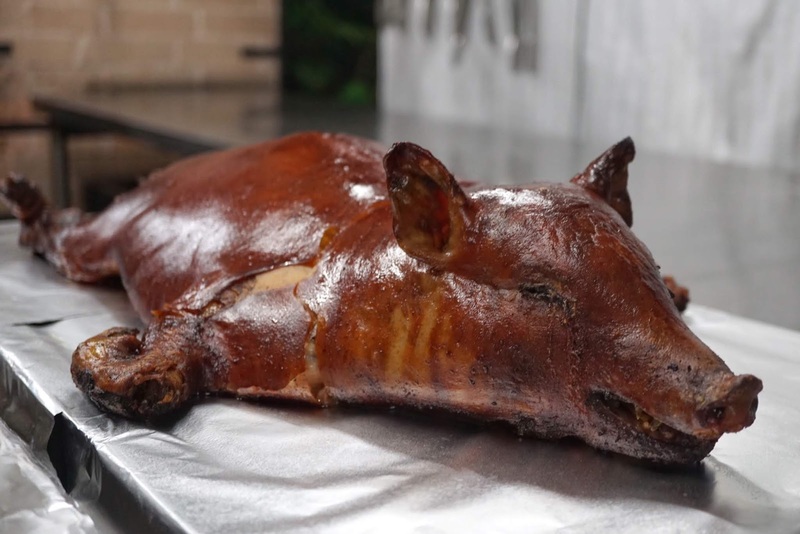 We Filipinos are pork loving market and it is evident with how dishes like lechon, crispy pata and pork barbecue are present in every family gathering. But hearing this story made me even more curious about this roasted suckling pig which I heard could easily rival against its European counterparts. A scrumptious spread of salad, Cochinillo del Cielo (PHP6,500, regular, good for 8-12 pax | PHP7,500, large, good for 14-18 pax), Fabada (PHP600, regular, good for 2 pax | PHP2,000, large, good for 6-8 pax), Rabo del Toro (PHP2,500, good for 6-8 pax) and Seafood Fideuà (PHP5,500, regular, good for 14-18 pax | PHP9,500, large, good for 26-30 pax) was prepared for us to try with a gin tonic bar on the side. It was my first time to try Fabada, a traditional Spanish bean stew dish. But instead of adding ham, Mr. Cochinillo put cochinillo giving the dish a lovely buttery taste and more texture. The thick stew sure was lovely though a tad salty for my liking. I guess that's why they recommended that we eat it with garlic bread. Rabo de Toro or Spanish bull tail stew was another dish highly recommended by Mr. Cochinillo. He mentioned that this would make one look for rice with its rich sauce. 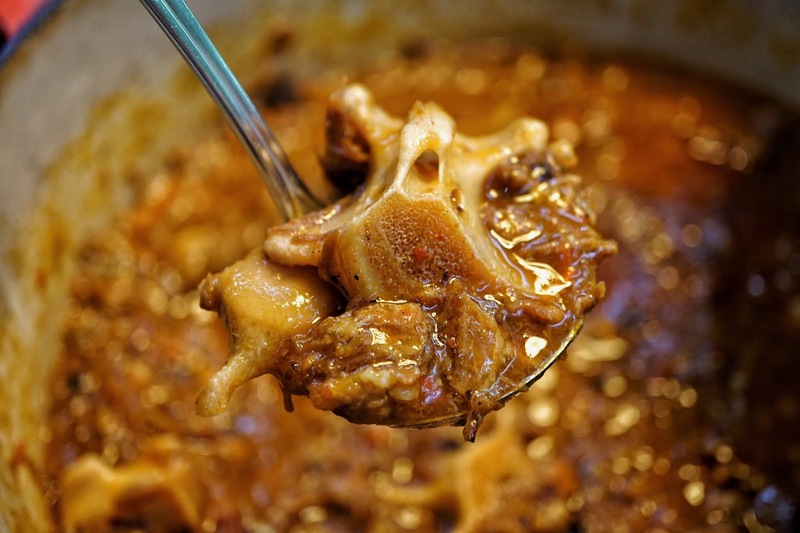 The bony dish sure was flavorful and the meat chunks were absolutely tender. 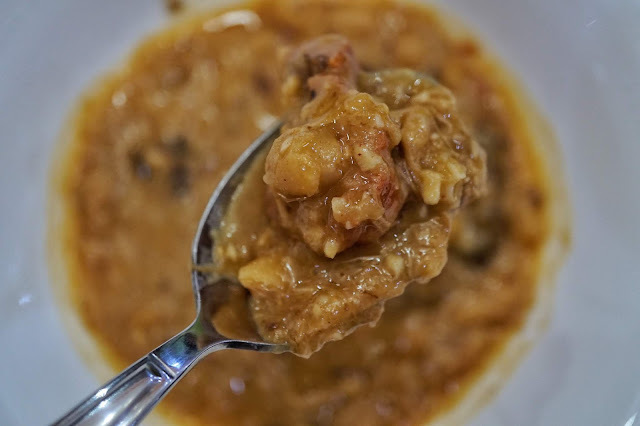 Just like Fabada, this one tends to be on the salty side but could easily be remedied by enjoying it with rice. Fideuà is quite uncommon here in Manila. Though there are a handful of Spanish restaurants around, only a few offer this delightful thin noodle Valencian dish. Mr. Cochinillo's version was rather different compared to the ones I've tried before. He uses thicker "pancit malabon" like short noodles instead of angel hair like ones. The man behind the kitchen mentioned that thicker noodles give the dish a balanced flavor. 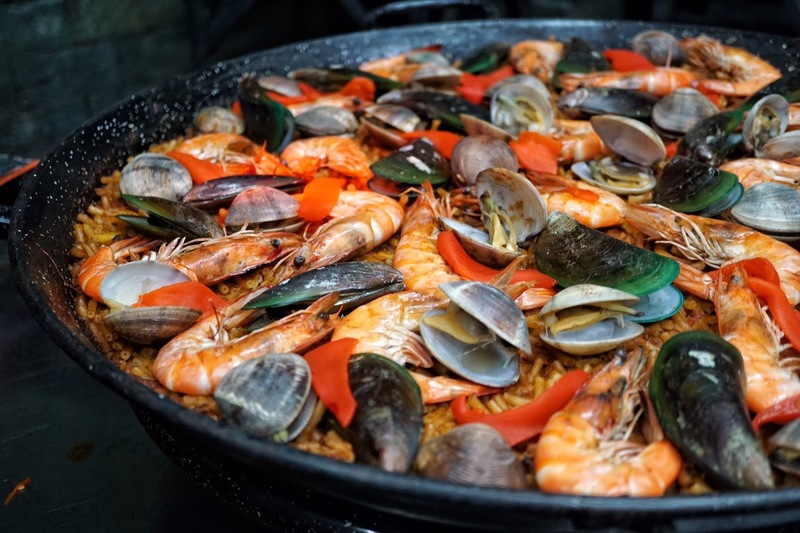 Generously topped with seafood, it will definitely a hit with anyone who loves prawns, clams and mussels! I usually save the best for last but I actually took a bit of cochinillo skin prior to dinner and it was divine! Light yet crisp, it was nothing short of amazing! Each chunk of the meat was succulent and had this delightful buttery flavor. We also had a blast seeing the crispy dish being easily chopped with fine ceramics. Mr. Cochinillo also treated us with his cochinillo cooked in goose fat. 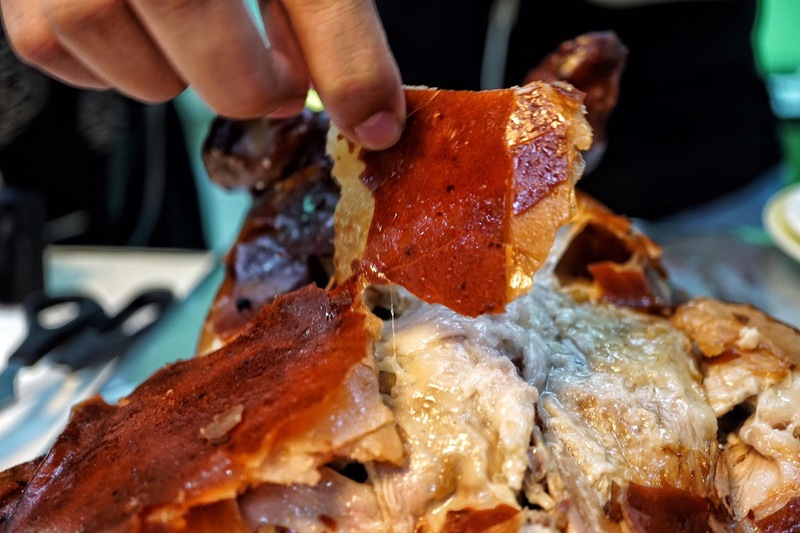 It is a marriage of two amazing dishes, roast suckling pig and goose. 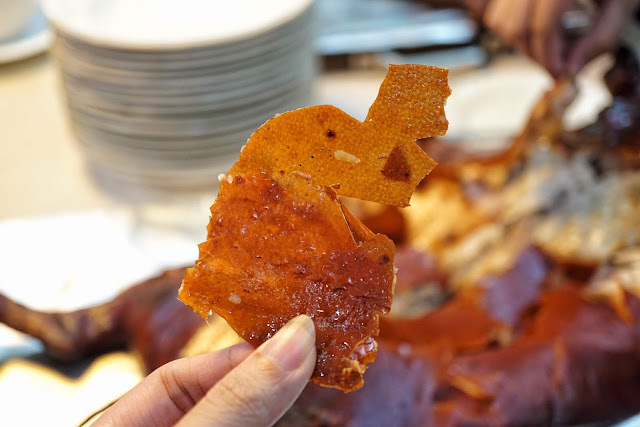 The skin would remind you of the famous Chinese delicacy yet as you dig in deeper, you get all that delightful pork taste. Interested to order? Click HERE and follow the steps. Note that all orders are only available for pick up at his home in Greenmeadows, Quezon City.